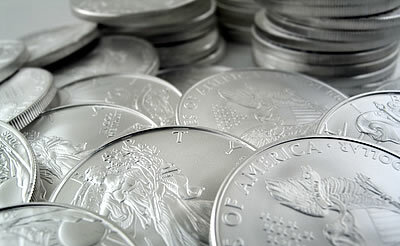 Silver coins, coin melt calculators, silver coin prices, silver spots. June was not a hot month in terms of 2017 American Eagle Silver bullion coin sales. It ended at 986,000 and that made the month the second slowest of the year for the United States Mint. Bullion 2017 American Silver Eagles in June slowed sharply from May. So far, only April was slower with 835,000 coins purchased, but June’s slowdown seemed extra dramatic when compared to May’s ending number of 2,455,000 — representing a 59.8% difference. Last year, the Mint sold 2,837,500 in June. Not surprising, the first half of 2017 is lagging compared to last year: 26,250,000 versus the 12,233,500 that it is now. As for the U.S. Mint’s numismatic news makers, the 2017 Silver Proof Set was the weekly winner in the silver category with 7,222 in sales. Also, the 2016-W Uncirculated American Eagle Silver coins passed the 200K milestone by reaching 201,173 in total sales. Next week’s report will reveal how many 2017-W Uncirculated American Eagle Silver coins sold since the coin’s launch on June 29. The table below shows the latest sales stats for collector coins and related silver products from the U.S. Mint. Sunday, June 25, is the as of date for the standard collectibles and Friday, June 30, is the as of date for the bullion products. No portion of this site may be reproduced or copied without written permission. P.O. Box 691701 San Antonio, TX 78269. Any use outside the given permissions constitutes copyright violation. All data and information provided on this site is for informational purposes only. There are no representations as to accuracy, completeness, correctness, suitability, or validity of any information on this site and will not be liable for any errors.